Found out about this listening to DJ Tabone’s “Soul Chamber” show on WRFG-FM (89.3) on Wednesday. 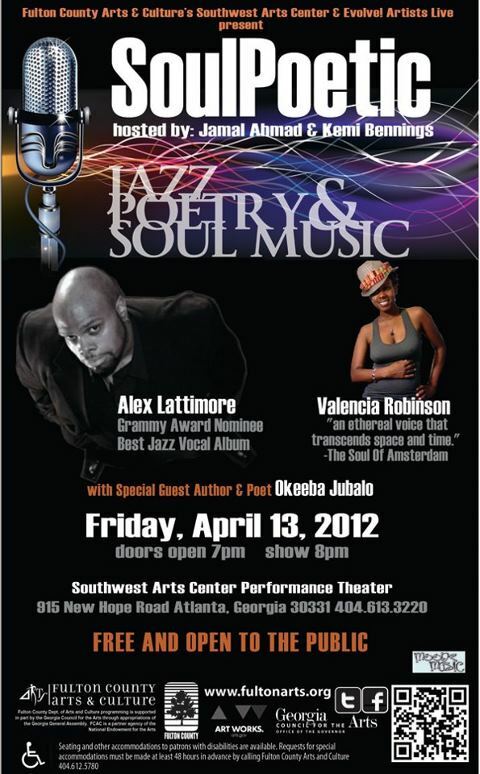 Jazz vocalists Alex Lattimore and Valencia Robinson will be joined by spoken word artist Okeeba Jubalo for this free event. I’m not sure how Evolve! Artists Live was able to pull that off — perhaps with help from the Fulton County Arts & Culture office, and our tax dollars that contribute to it — but regardless, take advantage.